Fatigue occurs when a material is subjected to repeated loading and unloading. It causes progressive localised structural damage, resulting in the material fracturing prematurely, below the expected ultimate tensile stress or yield stress limits. Fatigue lives of greater than 100,000 cycles are defined as High Cycle Fatigue. 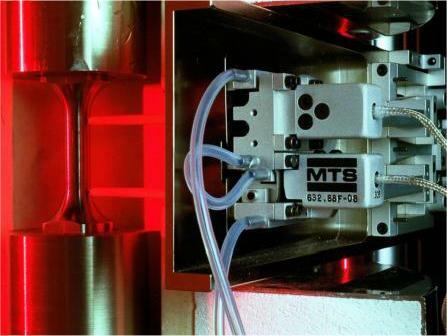 Axial high cycle fatigue testing at SMaRT is primarily conducted on Vibrophore test machines, which use magnetic resonance to deliver low amplitude, high frequency (usually in the range of 80-100Hz dependant on specimen geometry and material stiffness) testing within the elastic region of the material. 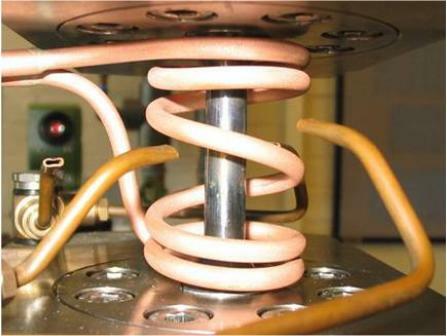 Typically, testing is conducted between ambient and 900°C, although some capacity for higher temperatures is available. SMaRT currently uses a suite of test machines that provide operation across loads ranging from 1kN to 100kN. 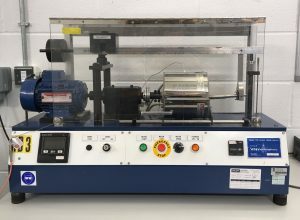 High cycle fatigue testing under load control involves performig a number of tests across a range of stresses (S) to determine their number of cycles to fracture (N), allowing the user to generate an S/N curve. This facilitates our customers with the information required to predict behaviour of their materials, which is critical for design, safety and verification purposes. Typical HCF lives of tests are in the order of millions of cycles. SMaRT also has the capability to perform HCF testing using rotating bend fatigue machines. The machines operate on the Wohler principle using a standard rotating cantilever specimen. One end of the specimen is held in the motor chuck, the other is free floating and has a load applied via a weighted beam, causing the specimen to bend. The machines are fitted with a split furnace allowing for testing at temperatures up to 850°C.